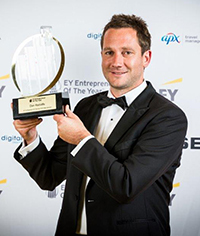 APX is proud to once again support New Zealand entrepreneurs, as the travel sponsor of the 2015 EY Entrepreneur of the Year Awards in partnership with Qantas. This prestigious global awards programme is participated in by more than 50 countries with awards presented annually to over 900 of the world's most successful entrepreneurs. APX sponsors the national awards programme that decides the New Zealand winner, who will then go on to compete at the World Awards. In 2014 the New Zealand winner was Dan Radcliffe, Founder of International Volunteer HQ. Dan will wing his way to the World Awards in Monte Carlo in June, flying business class care of APX and Qantas. We wish him all the very best! We'll keep you posted once the 2015 programme gets underway. Celebrating Sudima's CarboNZero Achievement - Be in to Win! To celebrate, Sudima Hotels are giving away a night's accommodation in any Sudima Hotel in New Zealand (Executive Room) with breakfast for two included - exclusive to APX Inform readers! To enter email apxmarketing@apx.co.nz with your full name, organisation, and your answer to the question 'What one factor is most important to you when booking a hotel room for business?'. * One winner will be randomly drawn on Monday 2 March. Entrants must be customers of APX Travel Management. 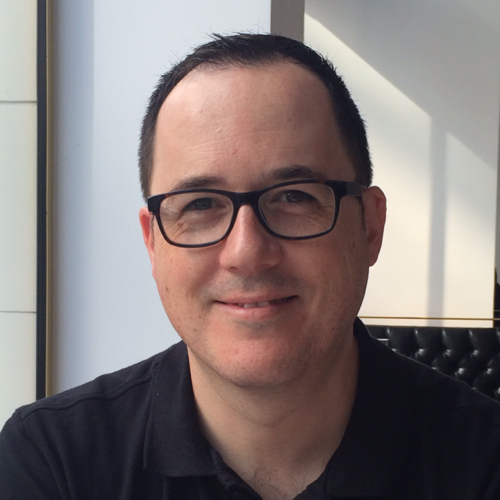 APX is delighted to welcome Garrick Loft as its new Head of Business Development. Garrick has held senior positions in the travel industry, and is himself a seasoned business traveller. Garrick, what are some of your career highlights to date? Successfully creating the Account Management Team in my previous role at TravelClick has been my personal highlight. This included building a team from scratch over a diverse geographic area, where languages, cultures, time zones and market needs offered a broad range of challenges. What unique attributes will you bring to APX and our clients? Having a grounding in operations, it is in my blood to question everything and I always look to reinvent the box to get the right fit, not the other way around. This ensures I make decisions for the right reasons and keeps my internal and external priorities in check. I deeply believe partnerships are a win-win, not a win-lose. What do you think will be important to business travellers in 2015 and beyond? For the business traveller, it is connectivity and the emergence of localisation. Your mobile is your entire world, but using it overseas has previously been cost prohibitive. With recent innovations, you can now use your mobile just like you do at home, no matter where you are. Localisation is a movement I have noticed emerging in Asia over the past 12 months. There is fast becoming a preference for the business traveller to stay in smaller, boutique hotels that are part of the local fabric of a suburb or city. Air New Zealand is re-introducing its popular Night Rider fares from 20 February, with initial routes between Auckland, Nelson and Christchurch through until 19 March, followed by Auckland to Palmerston North commencing 20 March. APX is pleased to advise that Night Rider Seat + Bag fares are available to book via any of our four supported online booking tools: Serko Online, Concur Travel, Sabre Online and GetThere. The fares will show in availability as $43.00 one-way, which is the cost of the $39 Seat + Bag fare plus the $4.00 per sector Air New Zealand credit card charge. Please note that if you are paying by Air New Zealand Travelcard, the $4.00 fee does not apply and will be removed automatically by APX prior to ticketing. Night Rider flights do not include any on-board catering and customers are unable to use the Air New Zealand Koru Lounges prior to these flights. We're excited to announce that Serko will soon be releasing 'Serko Mobile', which will be available to all APX clients who use Serko Online technology. Maps, directions and key travel information. The Android and iOS versions of the app will be available to download from the Apple App Store and Google Play store. We'll advise our Serko customers once Serko Mobile is live. Please be advised that due to peak summer travel and the influx of visitors for the Cricket World Cup, demand for accommodation and rental cars throughout New Zealand is at capacity. Our team of APX Consultants are working hard to secure bookings for clients, however confirmations are taking significantly longer than usual, and in some cases we have been unable to secure accommodation and/or transport. If you intend to make travel arrangements for the next couple of months, we recommend that you contact us as early as possible. We will do our utmost to meet your needs. As always, contact the APX team on 0800 TRAVEL (0800 872 835). Bid Now Upgrades is available by invitation only for selected Qantas flights. If you receive a Bid Now Upgrade invitation, you have the opportunity to make an upgrade offer to Business using a combination of Qantas Points and money. Around seven days before departure, you may be emailed an invitation to make an upgrade offer. Upgrade offers will be considered after requests for Classic Upgrade Rewards have been processed and confirmed. You'll only need a minimum of 3,000 Qantas Points for a domestic upgrade, and 5,000 Qantas Points for an international upgrade. A minimum amount of money will also be required. You can make, change or cancel your upgrade offer up until 24 hours before your scheduled flight departure time. If you want to know more about Bid Now Upgrades, visit qantas.com/bidnowupgrades. The UK government plans to reduce the number of visitor visa routes from 15 to four, affecting all those visiting the UK from April, whether for business or leisure. The four new visa routes will be: visitor (standard); visitor (to hold marriage or civil partnership); visitor undertaking permitted paid engagements; and visitors transiting the UK. Reducing the routes to four will help visitors apply for the right visa, the UK government said, adding that "for example, a person can visit for business meetings and a holiday and will not need to apply for two separate visas". The new rules will be laid in Parliament on February 26 before coming into effect from April. Join APX on Twitter, Facebook and LinkedIn to keep ahead of the curve on business travel news, tips and tricks. You'll be in good company in a community of like-minded frequent travellers and travel bookers.